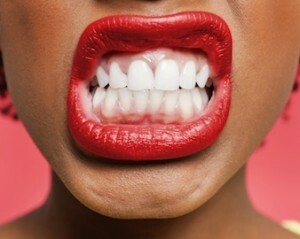 Home » Posts » What Do You Need to Know About Teeth Sensitivity? What Do You Need to Know About Teeth Sensitivity? The thing about teeth sensitivity is the pain resolves itself as fast as it came. What this means is that while you feel that sharp, stinging pain whenever you bite into a scoop of ice cream or whenever you take a sip of your hot coffee, you’ll find that the pain went away as fast as it came. This very much unlike pain that comes from tooth decay which actually lingers on and is the type to wake you up all night. At the same time, if you visually inspect the tooth which has been ailing you, you will find that its adjacent periodontal tissue is intact and there is no visible infection of the tooth, unlike an abscessed tooth. With teeth sensitivity, there is usually no pus formation and all your pearly whites will seem normal. If you are suffering long term pain, call Kim Norman, DDS Dentistry for the Individual in Maryville, TN immediately to prevent further damage. How did your tooth become so touchy? So if there aren’t any visual signs whenever you have teeth sensitivity, then why do you have the condition in the first place? The reason why some individuals get teeth sensitivity is because the enamel region has become stripped off, exposing the dentin layer. When this happens, the external stimuli, in the form of things you eat, drink as well as chemicals from dental hygiene products, are able to move into the minute pores of the dentin layer and into the pulp. The pulp is filled with nerve endings that are set off whenever they come in contact with a certain stimulus. Because there is uncontrolled entrance of substances, the pulp region is stimulated again and again, and the nerves interpret these stimulations as pain. A number of toothpastes marketed against teeth sensitivity have become available. Some of these toothpastes contain substances which numb the nerve endings of your teeth. If you find yourself fidgeting even after you’ve used these toothpastes, then you might want to consult Kim Norman, DDS Dentistry for the Individual in Maryville, TN. You could have hairline fractures which require a composite bonding procedure in order to correct them or you might want to opt for veneers or crowns. Chronic tooth sensitivity is something that needs to be evaluated by Kim Norman, DDS Dentistry for the Individual in Maryville, TN. Call today to set up an appointment.